Like I said in my Fig and Sour Cream Popsicle recipe, popsicles are my new favorite food to make. I just love how creative I can be with them. Oh, and I plan to keep making them all year round. 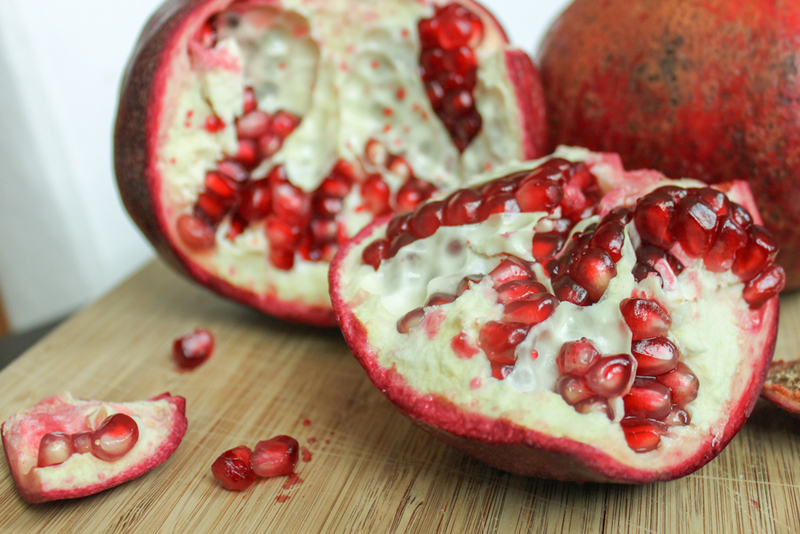 I had been looking forward to pomegranate season as I didn't really use them in recipes at all last year. I completely missed my opportunity. So the idea of freezing them to extend the season was of interest to me. And look how they turned out! 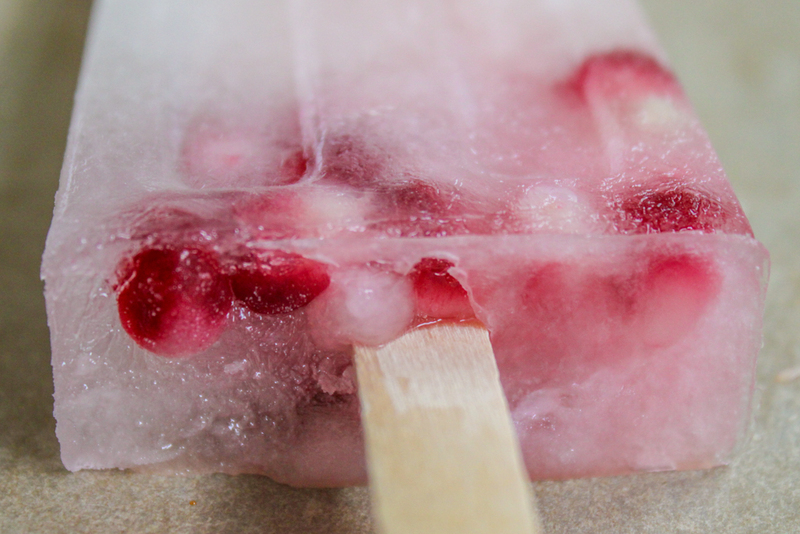 The seeds inside the popsicle are just gorgeous, right? 1. Mix the lime juice, sugar and water thoroughly until all the sugar is completely dissolved. 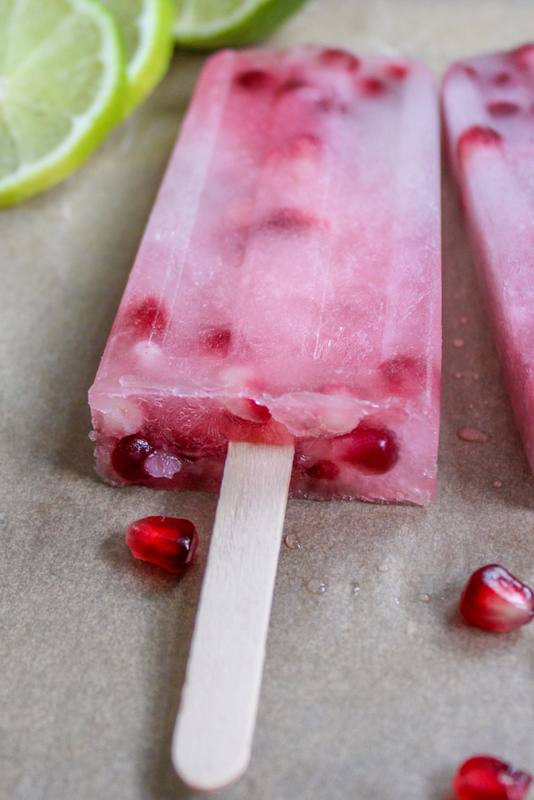 This recipe for limeade is a bit sweeter than I like but you need to make your popsicle recipe on the sweet side as it will not be as sweet when frozen. 2. Add the juice to the popsicle molds, but do not completely fill them. We are going to add pomegranate seeds next. 4. Add the arils to the popsicle molds. You don't want the pops to be jam-packed but the seeds should be evenly dispersed throughout. 5. Freeze for at least 7 to 10 hours as you want these pops to be rock hard. 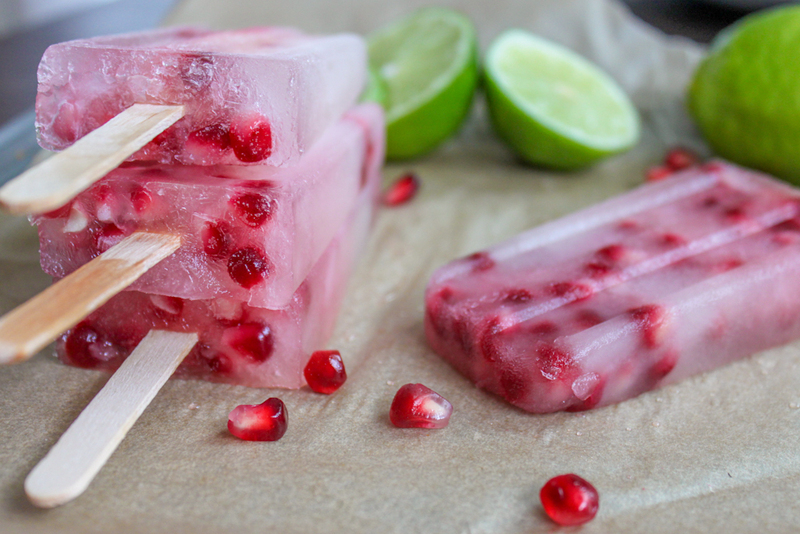 The pomegranate seeds will slightly compromise the structure of the pop so to prevent breakage they need to be frozen solid.